FOR FUN … FOR HEALTH … FOR LIFE! After decades of struggling with a meager budget, the Portage Park District has been going through something of a growth spurt recently, with the addition of over 400 acres in and around Kent. For those residents of Portage County who have been around long enough to watch the Portage Park District grow, it’s been truly exciting to witness – for those that are just getting acquainted with the Portage Parks, allow us to share a short history and plans for the future. Portage Park District was newly formed in 1991 as an independent government agency, organized the same way as other Park Districts and Metroparks in Ohio, with a mission focused on land conservation. Back then, the district’s annual operating budget was only about $15,000 and its only park was the county-owned Towner’s Woods. Over the next couple of decades, it struggled with unstable funding, getting by on whatever the county government could spare to support its tiny dedicated staff and board while slowly growing its system of parks and trails through grants and donations. Portage Parks now manages over 2,000 acres of parkland, including five open parks, a boat access on the Cuyahoga River, and 14 miles of hike and bike trails across the county. The most recent land acquisitions include locations in Kent, Brimfield, Franklin Township, and Streetsboro acquired with the support of state and federal grants and the partnership of other conservation organizations. An additional 215 acres spanning Kent and Brimfield protects over 50 acres of high quality sphagnum peat bog adjacent to the Tom S. Cooperrider Kent Bog State Nature Preserve. It also features rolling hills, old fields, mature woods, and over a half mile of Plum Creek, a tributary to the Cuyahoga River. Park staff, interns, and KSU students have already been at work with conservation research projects and planting trees to restore the floodplain. Potential uses include hiking and mountain biking trails, natural play areas, and picnicking. 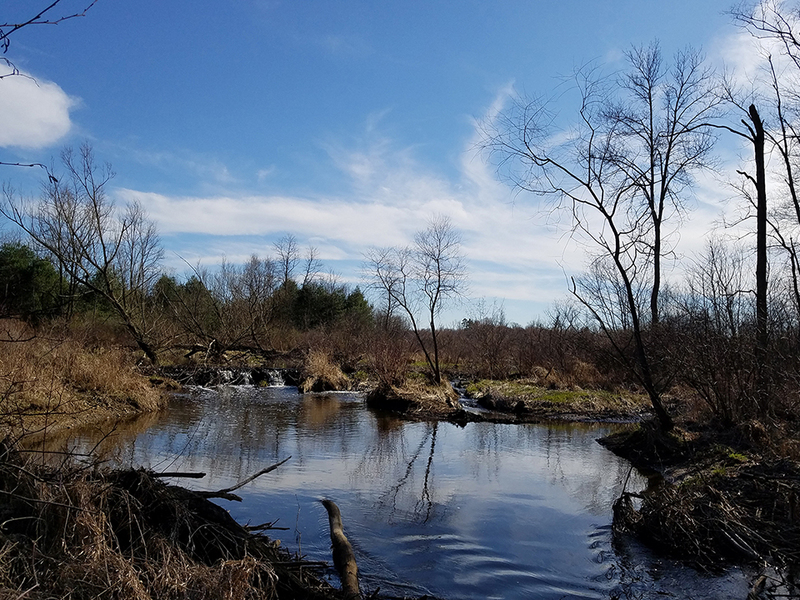 In Streetsboro, an additional 189 acres in two tracts were acquired within the Tinkers Creek Greenway, a complex system of high quality bogs, fens, forests and the headwaters to Tinkers Creek, the largest tributary to the Cuyahoga. The protected lands help to buffer existing state nature preserves but also have great potential for education and recreation, including accessible trails, primitive camping, fishing, and paddling on a 30 acre lake. The public will be invited to contribute to site planning for those and other as-yet unopened park properties over the next year. The district had already received significant public input as part of its 10-year Strategic Master Plan, adopted in 2016, which charts the course for park system development based on conservation and recreation needs. Countywide public opinion surveys and meetings were consistent with others across the country that prioritized the need for more land protection, and emphasized hiking and biking trails as the primary recreation need. The Master Plan includes an ambitious network of proposed multipurpose trails connecting communities across the county with neighboring counties. These types of trails, such as The Portage Hike and Bike Trail that runs through Kent, are free, safe places for healthy recreation for all ages and abilities, and they are getting more popular by the year. The plan also highlighted important natural areas for wildlife habitat and water quality that could be conserved as the opportunity arises. • The eight mile Headwaters Trail, connecting Garrettsville to Mantua, will be getting a fresh surface of limestone, new parking, and signage, thanks to funding from ODNR which also provided funding for the acquisition of over a mile of future trail corridor. • The 504-acre Morgan Park will see construction of three miles of new trail, and a transition of its Meadow Trail to a ¾ mile handicapped accessible trail with a butterfly garden and benches, thanks to a grant from the Burton D. Morgan Foundation. • Restrooms will be installed at Dix Park, Morgan Park, Shaw Woods, and Headwaters Trail. • Towner’s Woods structures will be repaired or replaced. • Natural areas restoration and invasive species control is an essential and ongoing effort. Portage Parks is focused on bringing people to the parks through programming and events like butterfly programs, birding hikes, bioblitzes, citizen science, scout camping, Headwaters Adventure Race, Wild Hikes Challenge, and our Park Rx program. These are just a few examples of how people are engaging with the parks, with more on the way, once programming staff are added to the team. Interested in giving back? A growing volunteer program seeks individuals and groups to help in areas from trail maintenance to wetlands restoration, photography to special event assistance – another way to feel good – by doing good! 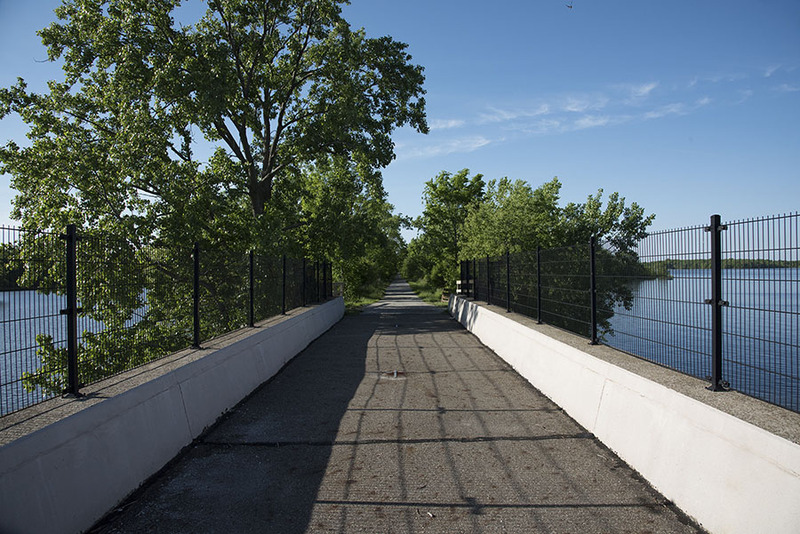 By connecting regional trails, working with schools in education and research, offering positive recreational programming and protecting historic areas and open space, Portage Park District’s impact is woven throughout our communities. The tag line For Fun, For Health, For LIFE! sums up its purpose well. Yes, parks are places for all to play and relax, to get fit, and to recharge. But they mean so much more. Not only are they places for social gatherings with family and friends, they stimulate economic development through nature tourism and park-related businesses, and by helping to keep and attract a workforce. Through land and water conservation, parks mitigate the impact of development and protect our clean air and water – the very foundation of life. Our parks are places to enjoy and cherish now, but they are also our connection to the past and an invaluable gift to future generations. To learn more, sign up for our mailing list, or get involved, visit www.portageparkdistrict.org, or call 330-297-7728.